We all know paying taxes can be like having your teeth pulled. No one likes doing it as individuals, but the fact of the matter is, filing taxes is just as much of a major hurdle for small businesses. New tax laws will take effect in a few months, and as a small business owner, it’s important to understand how these changes will impact you and your business. Tax Relief Extension – Shortly before the New Year, the marginal individual income tax rates were extended for 2011 and 2012. 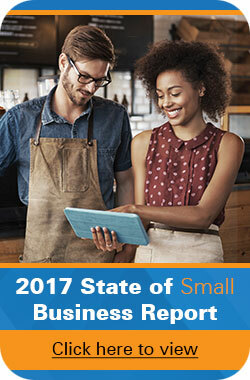 So what does that mean for your small business? Well, for those who pay the individual rate, the maximum marginal rate will remain at 35%. That comes as a relief to small business owners who feared the rate could jump as high as 40%. IRS Form 1099K – The recently introduced IRS Form 1099K requires that your business report the revenue from all credit, debit, gift, and third-party payment transactions (like PayPal). While this form won’t affect your 2010 taxes, it will impact your filing for 2011. The bottom line for your small business: Schedule an appointment with your tax professional to see how these changes will impact your filing. It’s worth the investment to make sure you’re on the right side of the tax laws. For more information regarding the 2011 tax changes, please visit www.IRS.gov/businesses.